Bookmark or Pin these multiplication 3rd grade videos. Multiplication videos show the right flash card every time! These professional multiplication 3rd grade videos help children review the multiplication tables on their own. There are twelve multiplication videos on this page. When children learn the lower tables: 0s, 1s, 2s, 3s; they'll already know what they'll need to know with the higher tables as with the 10s, 11s, and 12s. It is so nice to be able to encourage them that it really does get easier. 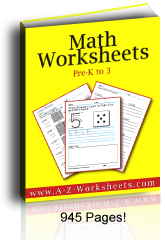 Teach the equations in order first and practice with skip counting from a chart and then by heart. Saying the times tables out loud is best. Once the children make the association that "A number times one is itself, 50 x 1 = 50, a billion times one is a billion..." It is fun to learn that the big numbers obey the same rules as the little numbers. Learning the multiplication tables is necessary before one can easily figure making change or learning time. Knowing how to skip count by fives makes learning to tell time easier. Bookmark these multiplication 3rd grade videos by hitting Ctrl+D or Command+D on your keyboard. These videos work on a phone or tablet. Learning the twos is often easy and fun if your students have been skip counting by two. They recognize the numbers much more easily than most of the rest of the times tables. Have your students drill the answers to all twelve equations in learning order and practice skip counting the two times table out loud from the multiplication chart at the top of our practice worksheets. Pennies make easy manipulatives because you can slide two pennies with two fingers in one move. Slide them into columns of ten and you can teach sets of ten in the same lesson. The threes are the first set of multiplication 3rd grade tables. Most children learn the 1s, 2s, and 5s in 2nd grade. Pennies are very handy for teaching the threes because they're still easy to manipulate with one hand into piles of three. Slide them into dozens and start the associations with the higher tables. The threes and the fours are sometimes the hardest tables for children to learn so it is good for them to simply train their brains by practicing the tables several times. 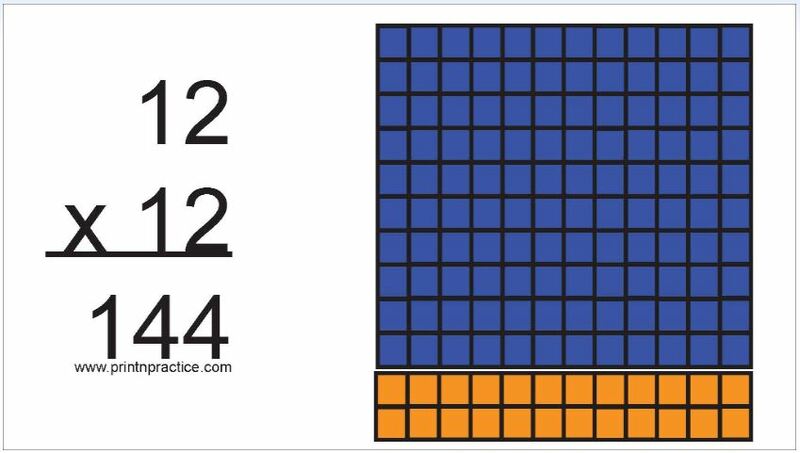 One of the trickiest for many children to learn is 3 x 4 = 12. Why? I have no idea, but I've even seen this caution in Math text books. Don't point it out in class or it will become even harder! 3 x 4 = 12 is also an equation in the fours table but the children learn it from the other perspective of 4 x 3 = 12. I have no advice here but practice. The fours are like the twos in that they are like the doubles of the twos and some children pick that up quickly. Multiplying by five is easy once you've learned to skip count by five. The fives also make learning to tell time easier since the other factor names the numeral that the minute hand indicates. Learning the fives also is helpful when learning about nickles when counting money. Be sure to see our coin and money worksheets if you want to incorporate these in your class. If the children can see half dozens, they can see a reason to skip-count by six. I like to have a dozen and a half egg carton to show 18 toy Easter eggs. I like to have enough of each color to teach the multiplication table of the day. If I am teaching the twos, I like to have two of each of nine colors. If I am teaching the threes, I like to have three of the same color for six colors. Same with the fours. For teaching the sixes, having six eggs in three colors shows the children "at a glance" that three times six is the same as eighteen. Awesome manipulatives. Seven Swans a Swimming! What else comes in sevens? In the spiritual world there are many things: seven capital virtues, seven capital sins, seven sacraments, etc. I can't think of much else that we count in sevens. Plain skip counting can be a help, but I find that it really helps to have something to count, since multiplication is "fast addition". My favorite way is to use Math manipulatives for this. Several companies color their seven block a vanilla color and one teacher calls it "sevanilla": 7, 14, 21, 28, etc. At least this the blocks are a natural item to "count" for those who are beginning to learn the sevens times table. Skip counting by eight is hard, but by your time students have learned the other multiplication tables this far they have learned most of the eights table, too. This is true for the sevens and the nines, too. Have your students drill the answers to all twelve equations in learning order and practice skip counting the times table out loud from the multiplication chart. The more practice the better and the more involvement the better. If they repeat after you, or say it while they write it, they'll learn the multiplication 3rd grade facts faster. Using a multiplication chart is a great way to see the relationship between the different multiplication tables. One of our own children finally "got it" by the time a year or two passed even though he couldn't memorize the tables very well at the beginning. Later, in high school he knew his tables, no problem. Counting by nine is a trick, but if your students already know all the tables to eight they know most of the nines already. Let them know this and they are greatly encouraged! Be sure to show them the trick of writing the numbers 1 through 8 down a column and back up another to double check their answers for the nine times table. This is a fun trick for them to see, too, and they can see it on the chart if they look down the nines column. It works best to see it in a column but it's true across a row, too. Just put a zero behind the number! That's it. The tens are easy. Multiplying by eleven is easy up through the numbers nine or ten. It's fun to see how easy the elevens are after learning the tens times table. All of the numbers are simply written twice one through nine. The twelves represent dozens. Somehow skip counting by twelve is about as easy as skip counting by twos. 12, 24, 36, 48, 60... The first four simply move up ten and two. It's more sing-songy so it's easier to memorize. It's very important in our culture to know what dozens are since so many products are sold in sets of a dozen. If we buy eggs we buy them in dozens or half dozens. One and a half dozens are 18. Two dozen are 24. Also, it's good to teach that twelve dozens, or twelve times twelve, is a gross or 144. Items like bulk goods are sold by gross because boxes stack nicely three one way times four the other way, etc. Firecrackers are often sold in a gross. I hope you enjoy our multiplication 3rd grade videos. Thank you for visiting and sharing our multiplication 3rd grade videos!